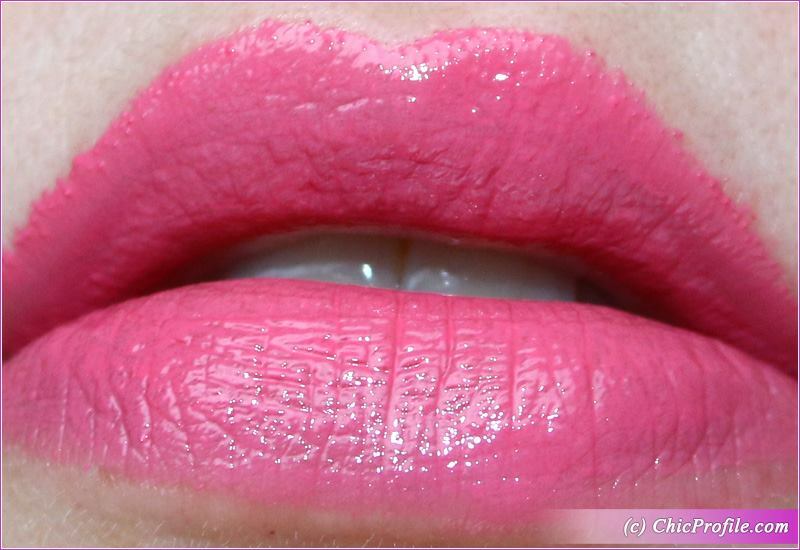 I’ve discovered the prettiest pink lip color of the season and is SUQQU Extra Glow Lipstick 111 Fireworks / Koihanabi. It’s part of SUQQU Summer 2018 UK Exclusive Gradation Couture Collection that launches this Thursday so keep an eye on it. Honestly I have a super strange relationship with SUQQU lipsticks or blushes. To tell you the truth it never happened to me before and this is how it goes. SUQQU lipsticks or blushes don’t really appeal to me when I look at the shades, but once I put them on my lips or cheeks, I’m completely in love with them. I always thought the blushes look too intense for me but on my cheeks they look perfect. With SUQQU Extra Glow Lipsticks the thing is the colors don’t look that appealing to me in the tube, but on the lips they are amazing. 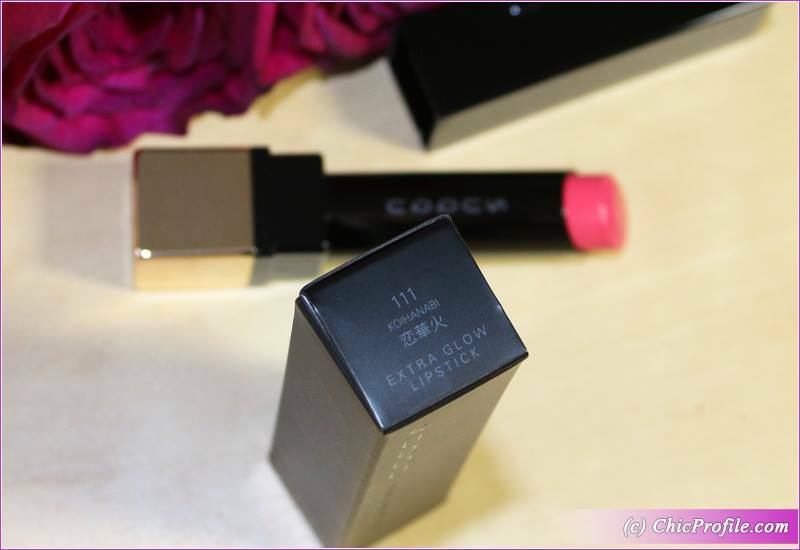 Let’s take an example from our star of the day here SUQQU #111 Fireworks / Koihanabi Extra Glow Lipstick. Since this happened to me more then just two, three times, I have to test the products in person and apply them before I make a purchasing decision. When I received the new #111 Fireworks shade it really looked more coral to me on the tube so I wasn’t that excited about it. 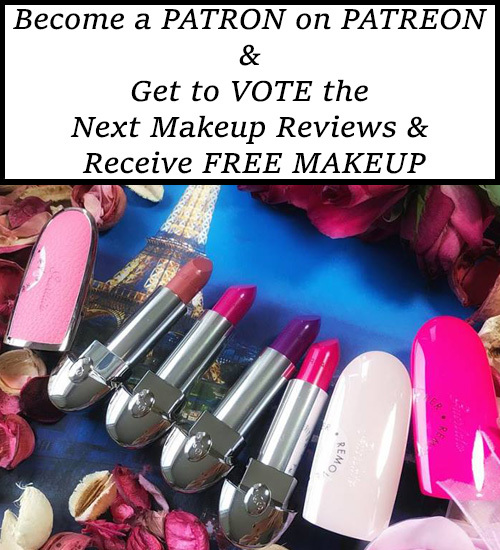 You know I’m mostly wearing pink on the lips and a coral has to look really and juicy so I would wear it. 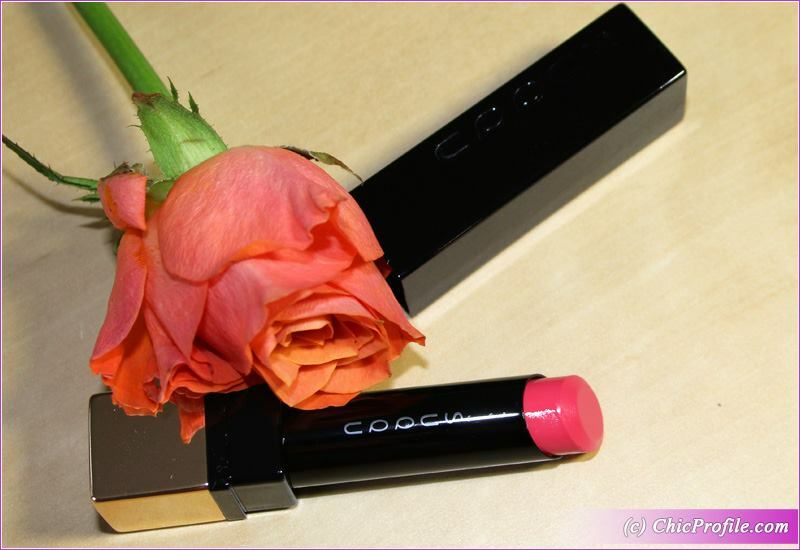 Our color here transformed into a beautiful vivid ultra-pink on the lips. I was stunned by how much I liked the color of my lips. 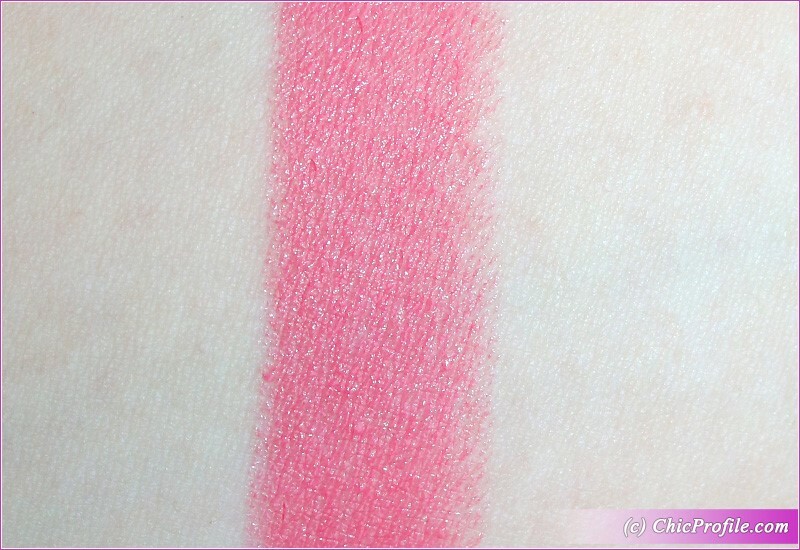 A true, vivid juicy pink with light cool undertones and a juicy sheen. Poor lipstick it hasn’t left my purse since I put it there as I want to always have it with me on the go. I don’t even care if I’m not wearing this shade that day, it just has to be in my bag. 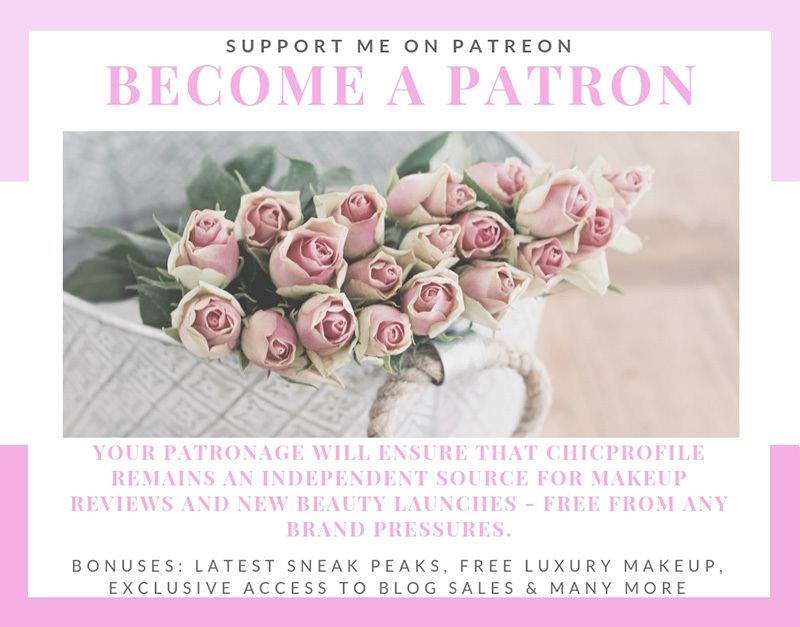 I know I can’t last more than two days without using it (trust me that often for a blogger who has to test lip products everyday). 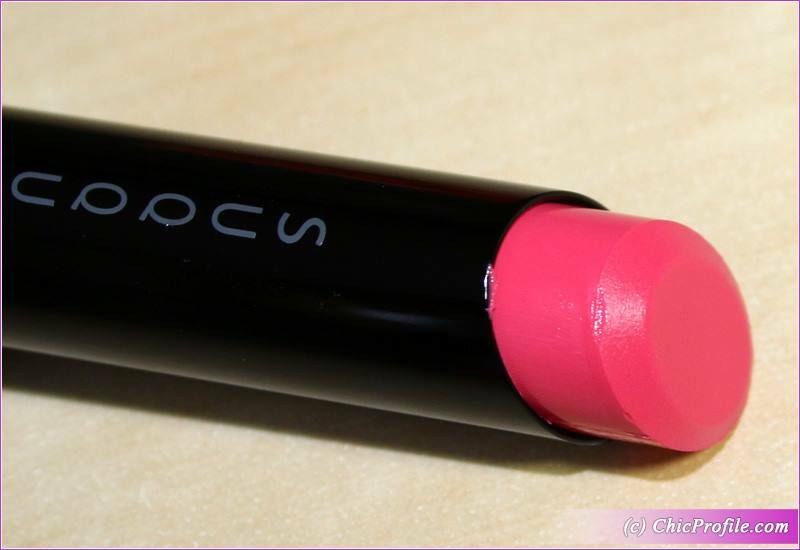 The finish is juicy, with a bit of shine without being to glossy but just enough to add freshness to your lips. 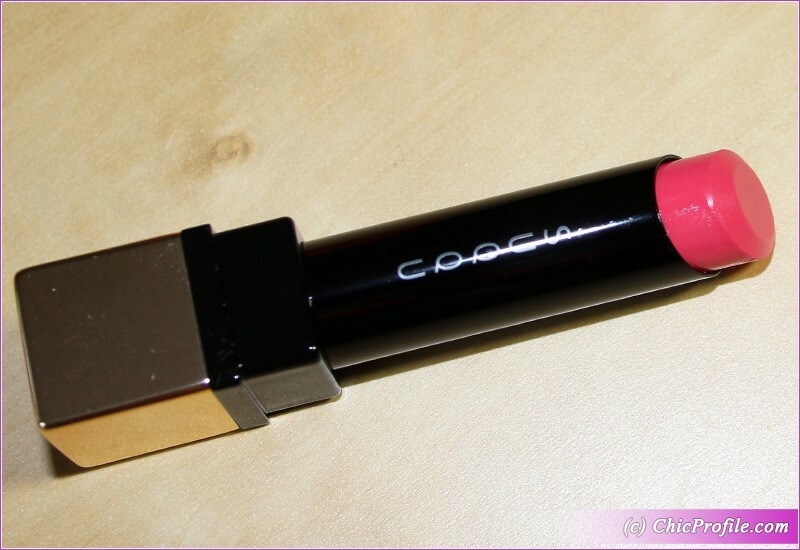 The formula is very lightweight and feels so moisturizing on the lips. I just feel my lips hydrated throughout the wear and I don’t even feel the need to apply my lip balm. The wearing time takes me close to 4 hours without leaving a stain behind. I haven’t felt my lips dry for a second throughout the wear. Even after the color wears off my lips are soft and feel moisturized. If I do have a meal the color won’t linger for too long on my lips or it will transfer a bit on the glass. 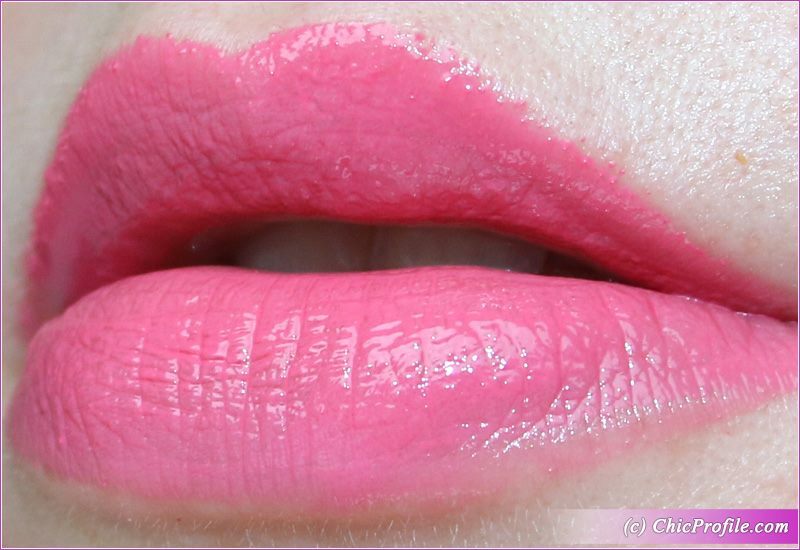 I don’t mind reapplying this color throughout the day as long as it keeps my lips moisturized and looks perfect.